Perhaps the most popular attire for men during weddings is the sherwani. While many may consider the sherwani a more glorified form of a kurta, it is interesting to note that the design of a sherwani actually has a more Western influence. During the 18th century, the achkan, the precursor of sherwanis, was worn by nobles at court gatherings in the Mughal dynasty. During the British rule, the achkan underwent significant changes in design and was modified for wear, according to the 19th century British frock coat. It was soon adopted by nobles and aristocracy, and became the official clothing for Indian men outside of India as well. The sherwani is different from the normal kurta because it is made of heavier material and has a lining. In many cases, it can be worn over a kurta as an overcoat too. Sherwanis are a wedding favourite for not just grooms, but also designers. Sherwanis for grooms are usually crafted in auspicious red and gold with splashes of white and yellow. They are intricately embroidered and paired with a turban, dupatta and jootis. Another popular sherwani design is that of a Jodhpuri suit or a bandhgala. This design has a major variation at the neck unlike the sherwani, which is buttoned up till the neck. Designers have experimented with sherwanis and have come out with Indo-Western designs that take the best of both worlds. Instead of churidaars, one can now pair sherwanis with well-fitted pants and trousers. 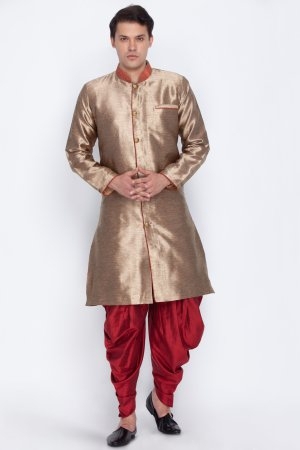 Jodhpuri sherwani suits are especially popular this way as the shorter top compliments western bottoms perfectly. 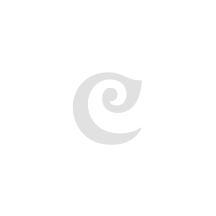 Shop online at Craftsvilla for the biggest collection of sherwanis and sherwani suits. Designer sherwani suits are in vogue this wedding season and they are flying off the racks. Be it for the groom or his best men, this attire of solidarity is a definite must for every man this season.